Please Note: The studies we conduct are not scientific studies. They are what we call "common sense" studies. We do the best we can with the resources available to us to conduct experiments in a way that will produce meaningful results; however, you will have to make your own determination as to whether the experiments produce meaningful or useful information. All information related to studies we conduct is presented for educational and entertainment purposes only. Both founders of Herb Allure, Inc. have suffered from symptoms they believe were caused by mercury toxicity for the majority of their lives. In fact, Herb Allure, the company, is an indirect result of their quest to find a solution to the numerous physical ailments they suffered. After having their amalgam (mercury-based) dental fillings removed and shortly-thereafter recovering from over 17 physical ailments and several emotional conditions as well, the founders decided to publicly expose the information they discovered in the course of their research. This is done, in part, through the mercury amalgam forum on the Herb Allure website. Finally, through the course of helping others discover the effects and solutions for mercury toxicity, the founders were confronted with the claim that the use of ionic foot baths (or "foot spas") removes mercury and other heavy metals from the body. This appeared to be a fast and easy solution to remove mercury from the body, which can be an otherwise difficult experience. The founders decided to collect a reasonable amount of evidence to establish that foot spas do remove heavy metals from the body. They decided that if enough evidence was found to this effect, they would begin to manufacture and sell their own brand of foot spas. They set up a simple experiment for this purpose. Herb Allure employees met and designed an experiment that they believed would produce meaningful results. The outcome of this meeting was a procedure that would be strictly followed. This procedure was documented, printed, and exercised. Following is the document describing the procedure. The electrode is a metal device that connects the device's power supply unit to the water in which a person soaks their feet. The connection is made through standard wires. The tub and electrode were washed exactly the same way before each foot spa session was conducted, including the first session and all control sessions. This ensured that any contamination from cleaning products would not skew the relative results. We recorded the person who participated in the session. 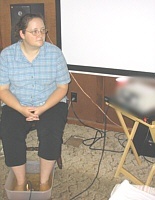 Two control sessions were conducted in the same manner as sessions with persons, but without any feet in the spa tub. We recorded the total number of amalgam fillings each person in each session had. Amalgam fillings contain mercury which may have an effect on the outcome of the experiment. We recorded the time and date of each session. We recorded the lab vial serial number. We blended the spa tub's water using a standard kitchen blender with stainless steel beaters until the mixture was well-blended. We submerged the vial into the tub, tipped the opening of the vial toward the surface of the solution and then uncorked the vial until it filled up. We then replaced the cork. The foot spa was also run through two sessions without any feet in the foot tub. All other aspects of the session were the same. The data collected from these "Vacant" sessions would be compared with normal "Occupied" sessions to see if there were any differences in the heavy metal content of the water used. This method was used as the control to determine if heavy metals actually came out of feet and into the water during a session. Once all samples were taken, they were sent to a lab to be analyzed for heavy metal content. 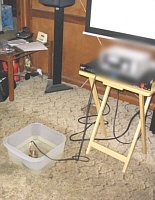 The foot spa power supply that was being testing was connected to A.C. power through a Furman model AR-1215 A.C. Line Voltage Regulator for all sessions that were conducted, including the controls. This voltage regulator maintains a constant A.C. voltage output to the device. We took this precaution to ensure that incidental fluctuations in the A.C. supply coming from the power company did not interfere with the results of the test. Following is a chart showing the amount of metals present for each sample taken. Pictures of the original faxed lab reports are included at the end of this document. It may also be useful to view average values of sessions with feet ("Occupied") as compared to average values of session without feet ("Vacant"). The chart below shows the three columns of "Occupied" data averaged into a single column, and the two columns of "Vacant" data averaged into a single column. The "Change" column indicates the difference between average occupied and average vacant metal levels. Table 2: The "Occupied" column contains data from Table 1 columns labeled "Cara", "Chad", and "Brian" averaged together. The "Vacant" column contains data from the Table 1 columns labeled "Control #1" and "Control #2" averaged together. The "Difference" column indicates the amount of change between the occupied samples and the vacant samples. 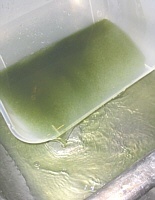 Green cells indicate an increase in metal content. Red cells indicate a decrease in metal content. White cells indicate no change. All values are measured in milligrams per liter (mg/L) unless otherwise noted. In considering the results of this test, it's important to analyze the data carefully. At first glance, you may notice that Table 2 seems to indicate promising increases in certain metal content in the test water. However, without further consideration, you may be led to conclude that this indicates that the device being tested removed a significant amount of metal from the body. Let's look closely at the results. Table 2 shows a 67% average increase in the amount of aluminum in the occupied water samples over the vacant samples. Looking carefully at the raw data in Table 1, we can see that aluminum levels in one of the occupied samples ("Brian": .0139 ) was actually lower than in one of the control samples (Control #1: .0162). This seems to be indicative of a variance that would be found throughout this data set if it were extended, which leads us to believe that aluminum extraction by the foot spa is minimal at best, and most likely inconsequential or nonexistent. We also need to consider the Average Daily Intake column showing the daily human ingestion of aluminum, which is 30 to 50 milligrams1. If we draw a ratio between the average amount of aluminum increase in the occupied water samples (.0069 mg) to the average amount of aluminum consumed by humans daily (40 mg), we find that the increase amounts to a very small percentage of the daily human intake of aluminum: 0.01725%. To put this into perspective, if we assume that the foot spa removes .0069 mg of aluminum per session and we assume that a person consumes an average of 40 mg of aluminum per day1, it would require 5,797 foot spa sessions to remove the amount of aluminum an average person consumes in a single day. Antimony shows only a slightly higher average level in occupied samples as compared to vacant samples in Table 2. However, antimony had identical levels for 2 test subjects ("Cara" and "Brian") and 1 control (Control #2). We don't believe we can draw any useful conclusion from this data set. Barium was consistently higher in the occupied water samples as compared to the controls. Table 2 shows a 55% average increase in the amount of barium in the occupied water samples over the vacant samples. Looking carefully at the raw data in Table 1, we can see that barium levels in one of the occupied samples ("Chad": .0115 ) was within 0.0014 mg of one of the controls (Control #1: .0101). This seems to be indicative of a variance that would be found throughout this data set if it were extended, which leads us to believe that barium extraction by the foot spa is minimal at best, and most likely inconsequential or nonexistent. We also need to consider the Average Daily Intake column showing the daily human ingestion of barium, which is 1.3 milligrams2. If we draw a ratio between the average amount of barium increase in the occupied water samples (.0070 mg) to the average amount of barium consumed by humans daily (1.3 mg), we find that the increase amounts to a very small percentage of the daily human intake of barium: 0.538%. To put this into perspective, if we assume that the foot spa removes .0070 mg of barium per session and we assume that a person consumes an average of 1.3 mg of barium per day2, it would require 185 foot spa sessions to remove the amount of barium an average person consumes in a single day. We hypothesized that the increased amount of barium in the occupied samples may be due to the high amounts of barium apparently found in the atmosphere. This conclusion is drawn in reference to testing conducted in the United States in connection with the current chemtrail phenomenon that is occurring in most NATO countries3. In this scenario, it is possible that ground barium depositions could be carried on human skin, clothing and especially shoes, tracked into a room, transferred onto feet, and then be deposited in the water of the test subjects. This "transference" scenario may also apply to the other metals tested as well. To determine if this is a factor, it may be useful to conduct testing that compares untouched water with water that has feet soaking in it for a period of time equal to a normal spa session. Cobalt displayed a slightly higher average occupied level in Table 2. However. it must be noted that the raw data in Table 1 reveals that cobalt was higher in 1 of the control samples ("Control 2") than it was for 2 of the occupied samples ("Cara" and "Chad"). Again, this is indicative of standard variations in small data sets and is probably not conclusive. Copper levels were widely varied. It should be noted that during one of the control sessions, the device electrode tipped to its side for a short while, which appeared to release an additional amount of corroded (apparently oxidized) substance into the water. 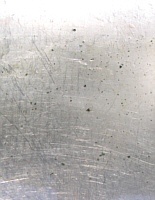 Accelerated metallic corrosion is well-known to be caused by electrolysis. Because it appeared that a large part of the device electrode was made of copper, and because the general color of the test water was green after every session, and because green is the color of oxidized copper, we believe this likely explains the surge in copper levels in Control #1. Table 2 shows a 633% average increase in the amount of lead in the occupied water samples over the vacant samples. As you can see in Table 1, this average was highly skewed by one of the test subjects ("Cara"). Looking carefully at the raw data in Table 1, we can see that lead levels in one of the occupied samples ("Brian": .0004) was only .0001 higher than in both control samples (.0003). Furthermore, another occupied sample ("Chad": .0014) was only .0011 higher than in both control samples. This seems to be indicative of a variance that would be found throughout this data set if it were extended, which leads us to believe that lead extraction by the foot spa is minimal at best, and most likely inconsequential or nonexistent. We also need to consider the Average Daily Intake column showing the daily human ingestion of lead, which is 0.25 milligrams4. If we draw a ratio between the average amount of lead increase in the occupied water samples (.0016 mg) to the average amount of lead consumed by humans daily (0.25 mg), we find that the increase amounts to a very small percentage of the daily human intake of lead: 0.64%. To put this into perspective, if we assume that the foot spa removes .0016 mg of lead per session and we assume that a person consumes an average of 0.25 mg of lead per day1, it would require 156 foot spa sessions to remove the amount of lead an average person consumes in a single day. Zinc displayed an average 39% increase in occupied samples as compared to the controls, but because zinc is a beneficial metal, we did not consider this a beneficial effect. Four of the remaining metals show an increase in the occupied water samples over the vacant samples of only 0.0001 milligram/Liter. In each case, we believe this is inconsequential or negligible. All of the remaining metals show small amounts of difference between the occupied samples and the vacant samples demonstrating to us that the foot spa had little or no consequential action in relation to heavy metals. In our non-scientific opinion, the lab analysis of the water samples collected from this experiment show no meaningful patterns of difference in the amount of heavy metals present between samples that had feet in them and samples that had no feet in them. We had to conclude that the foot spa did not remove any significant amount of heavy metals from the body. Although there were a few interesting trends in the experiment, particularly concerning aluminum, barium, and lead, the actual amounts involved were small enough, particularly when compared with the scale relating to daily human consumption of these metals, that we considered the differences inconsequential. We believe that more studies need to be done with much larger sets of subjects and controls before meaningful conclusions can be reached. We did not observe—what we consider to be —any significant trends during the course of this experiment. As a result of this experiment, Herb Allure decided not to manufacture its own brand of foot spas, despite the considerable potential financial gains that would likely result from such a venture. Before a typical foot spa session, the client/customer is normally given a nutritional mineral supplement. At least some foot spa manufacturers (actually all of the ones we've investigated) require that this supplement be ingested before every foot spa session, warning that the client may experience nausea if this step is not taken. Most of the people we've received testimonies from, who received foot spa treatments and experienced various improvements to their health, also told us that any health improvements they experienced disappeared soon after discontinuing the foot spa sessions. Considering that most Americans are mineral-deficient, and because mineral deficiency is the cause of numerous ailments and diseases, it is possible that the minerals administered before each foot spa session are the cause of the temporary health improvements experienced. Of course, testing would need to be conducted to confirm this hypothesis. This section contains additional information and documentation that may be useful in connection with the above experiment. 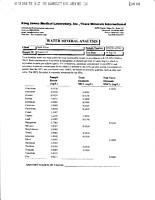 Below are images of the original faxed documents from the lab containing the water test results. The following are the results of the "Occupied" water samples that were tested. 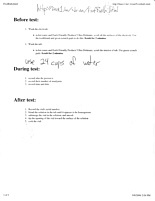 Figure 2: Water test results from test subject "Cara". 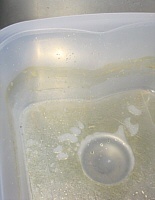 Figure 3: Water test results from test subject "Chad". 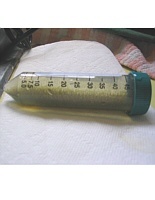 Figure 4: Water test results from test subject "Brian". 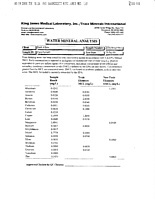 Below are images of the original faxed documents from the lab containing the water test results. The following are the lab results of the "Vacant" water tests, also known as the "controls". 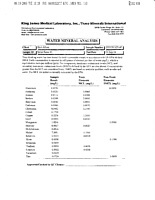 Figure 5: Water test results from test subject "Control #1". Figure 6: Water test results from test subject "Control #2 ". Below are various photographs taken during the experiment. Click any of these photos to open a larger version. Figure 7: "Cara" is one of the test subjects. The device under test has been purposely obscured. 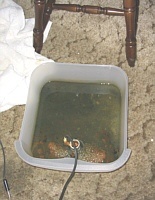 Figure 8: This is what the water looks like after an "Occupied" session (a session with someone's feet in the water). Figure 9: Beginning a "Vacant" session (a session without someone's feet in the water). The device under test has been purposely obscured. Figure 10: A view of the water near the beginning of a "Vacant" session. Figure 11: A view of the water near the end of a "Vacant" session. 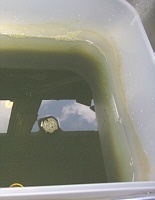 Figure 12: A view of the water after being mixed thoroughly. 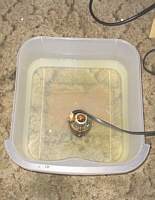 Figure 13: Pouring the water out of the foot tub after a session and after a sample has been taken. Figure 14: Continuing to pour the water out of the tub. 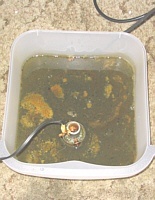 Figure 15: After the water is completely drained from the tub, many specs remain. "Vacant" and "Occupied" water was visually identical after mixing. 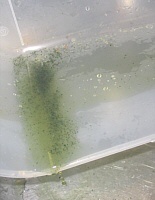 Figure 16: A film remained in the tub after emptying the water. The film was visually identical for both "Vacant" and "Occupied" sessions. 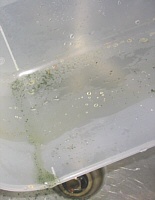 Figure 17: Many specks of what appeared to be oxidized copper remained in the bottom of the sink after draining the tub. These are usually dark-green and some were black. 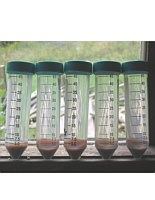 Figure 18: We collected 5 vials of water samples. This is a picture of one of them as it began to settle. 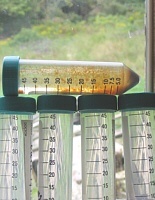 Figure 19: This is a picture of the vials after the water had settled. The top (horizontal) vial had just been moved which circulated some of the settled material. Figure 20: The five vials are ready to go to the lab. All samples look identical, even after they had completely settled. 1 "Aluminum Toxicity." National Institutes of Health. <http://ntp.niehs.nih.gov/ntp/htdocs/Chem_Background/ExSumPdf/Aluminumalt.pdf>. Accessed January 2007. 2 "Chemical Fact Sheet: Barium." Spectrum Laboratories. <http://www.speclab.com/elements/barium.htm>. Accessed January 2007. 3 Clifford E. Carnicom, "Chemtrails - Barium Identification Further Confirmed." <http://www.rense.com/general5/chembarium.htm>. Accessed January 2007. 4 "Chemical Fact Sheet: Lead." Spectrum Laboratories. <http://www.speclab.com/elements/lead.htm>. Accessed January 2007.